The Cabins at the Grand Mountain are some of the most popular lodging venues of Thousand Hills Golf Resort in Branson which are beautifully located in a rustic wooded setting around the Ozark mountains. Branson cabin is a luxury accommodation that provides quality and comfortable living but with affordable price for the whole family. This lodging place in Branson has great features of modern amenities such as free wi-fi internet access, cable TV with HBO, and DVD player. The kitchen of every cabin is fully equipped with high-end appliances such as refrigerator, microwave oven, dishwasher, washer/dryer, pots and pans, and kitchen wares and utensils. The great location of Cabins at the Grand Mountain has fascinating features of unspoiled nature, pristine scenery, clean and crystal clear waters of the lake, and a beautiful wildlife. Staying in this beautiful accommodation of Thousand Hills Golf Resort gives you the chance to experience good old hospitality in the Ozarks. As the cozy cabin accommodation is near the golf course, you can play with its most popular 18-hole golf course. In the golf course, you will be given preferential tee times. The beautiful location of Branson cabin and its reasonable price are some of the reasons why many guests choose to stay in this cozy accommodation. For over a decade, Thousand Hills Golf Resort has been recognized as one of the leaders in providing nightly cabin rentals in Branson. Cabin accommodation at Thousand Hills which hasn’t been known for many years became popular after several clients testified excellent services they have enjoyed. These luxury cabins in Branson feature the best package that include many top quality amenities and a picturesque view of the beautiful natural scenery which can be seen from the porch of every cabin accommodation. Every year, millions of visitors flock to Branson to see the natural beauty of the surroundings and to enjoy many exciting activities. Unlike regular hotel accommodation, staying in Branson cabin is highly recommended for big families or groups of any size. A fantastic vacation in this beautiful golf resort in Branson, allows you to experience a luxurious and comfortable living as each cabin features Jacuzzi Suite, king size bed, a separate living room, and a mini kitchen. 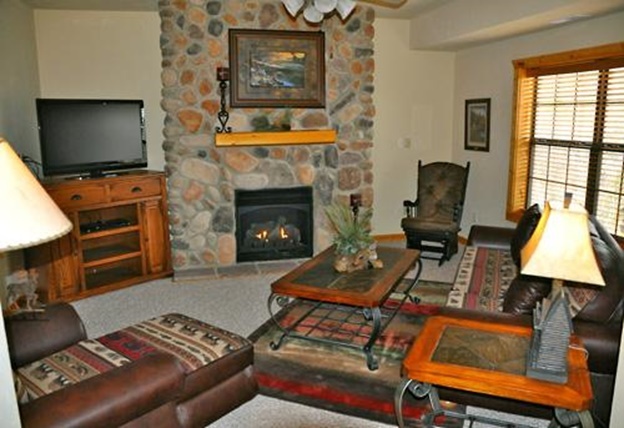 A wonderful stay in Branson cabin will let you enjoy its stone fireplace, whirlpool tub plus a two person rain shower. The convenient location of the cabin accommodations at Cabins at the Grand Mountain is only minutes away from the 76 Music Boulevard. This means that all the city attractions and live entertainment shows are all within walking distance from your cabin accommodation. After you have enjoyed your day in Branson by seeing exciting attractions, it would be great to go shopping at the new Branson Landing shopping district in downtown Branson. So, if you want to spend a relaxing and pleasant vacation in a secluded place, be sure to stay at some of the best cabin accommodations of Cabins at the Grand Mountain in Branson.